The blackbird ecm cruiser is one of the delights of Eve gameplay. In the CFC coalition we use it to play a minor role in our ecm fleets. These mostly rely on Celestises and do jamming. Personally I love the knowledge that by jamming someone I've ruined their night. In full tidi, which applied for the op where I took there pictures, a jam cycle lasts 200 seconds after which it takes about 50 seconds for a tengu to lock up a target. 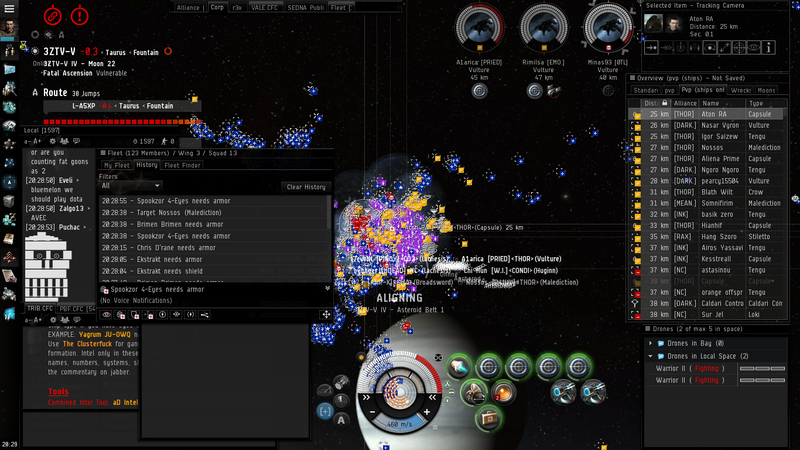 4 minutes of another player's life, cruelly annihilated every time my modules work. Our blob will block out the sun! 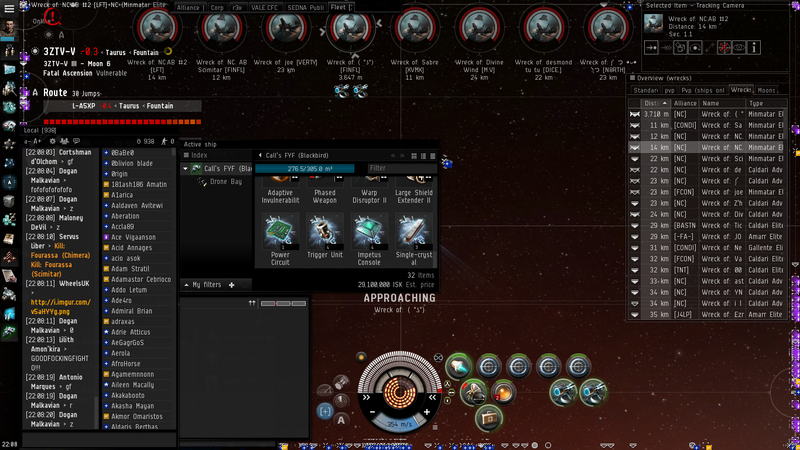 Woot, all those tengu wrecks! 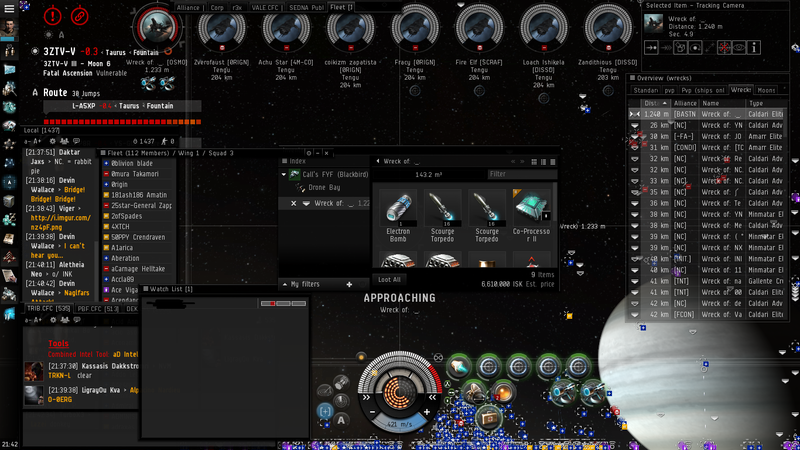 In the end I collected 81 million isk worth of salvage and loot. A correction and an apology. I said in my last article The Bastion has always aimed to be a rapid deployment alliance. This is not quite right. We aimed to be a force projection alliance. Packing up our carriers with ships, go somewhere, and get an early foothold is a little different from responding rapidly. Of course in Phoebe that again might get revisited. Carrier jump range reduced to 5 LY with perfect skills and a cooldown timer on chain jumps. 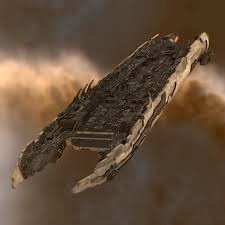 I actually rather like this but of course it has big implications for our alliance. First rapid pangalactic deployment needs to be reassessed. 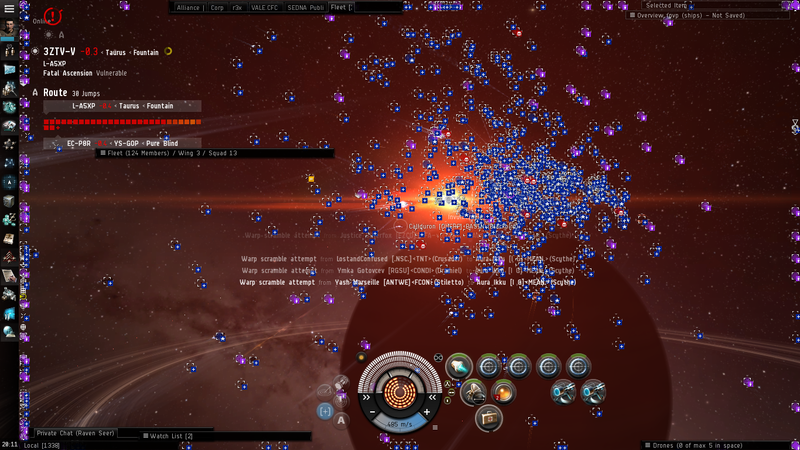 We may need to deploy to Delve by flying to Delve in interceptors then using local resources rather than bringing a carrier full of ships each. Effectively JF's may take over the strategic role of Carriers with an expectation that people defending a broad space (like Vale to Delve) will need to have ship stashes at multiple locations. Next we are now a real flank. We are right bang next to PL/NC. space and the rest of the CFC can't get caps here fast. So our flank, consisting of Razor, us and Co2 gains tremendous strategic significance. We must be a rock, a real bastion. And here's why I like it - the challenge, the danger. We really could lose all our space if we are asleep at the wheel the way the old Northern Coalition did. We can;t count on a massive blob to save us. At the same time it's a real chance to shine. If we can be the rapid deployment alliance that we've always aspired to be and which we've achieved so successfully in the past then we can show the rest of the CFC and the rest of Eve how amazing we are. It's game on. This is CCP's attempt to make holding an empire that's an entire side of the map big impossible. 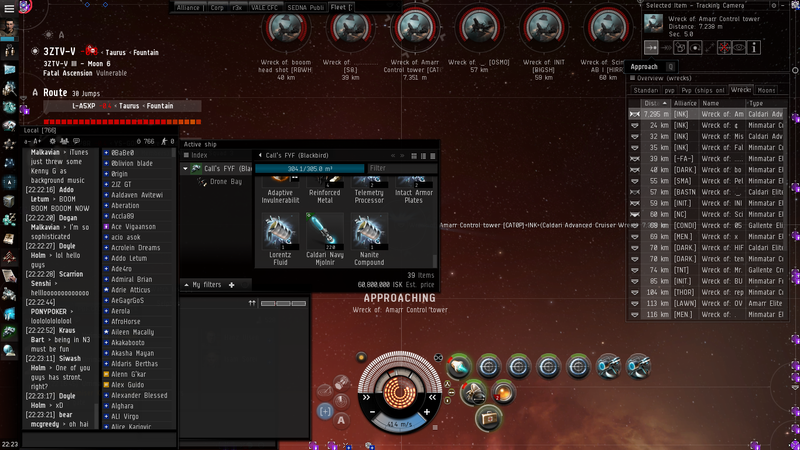 CCP's attempt to break our coalition.